Nisswa, Minnesota, January 31, 2018	(Newswire.com) - GrowthZone, Inc., provider of ChamberMaster, the market leader of member management software and services, recently announced the release of its 2018 Chamber Survey Results. The results represent feedback on industry trends and projections from over 400 chamber of commerce professionals across the U.S. and Canada. A key finding of the survey points to a positive outlook regarding membership growth with 58% of respondents reporting an increase in new memberships in the past year, and a 52% increase over the last five years. “While overall, the key findings show a positive outlook regarding membership growth, the results point toward opportunity for increasing membership among the Millennial generation and conducting membership drives. Of the chambers that hold membership drives, 62% have seen an upward trend in membership growth over the last five years,” commented John Cook, GrowthZone Senior Vice President of Marketing. Additional topics covered in the survey results include statistics on operating budgets, health insurance for chamber staff, member communications, the top 10 things holding chambers back, and more. 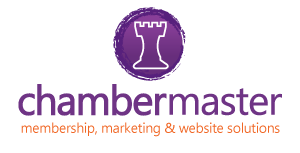 In its fifth year, the Chamber Survey Results Report has consistently proven to be ChamberMaster’s most sought-after resource. It can be accessed from the ChamberMaster.com homepage. ​With headquarters in Nisswa, Minnesota, USA, GrowthZone, Inc. provider of ChamberMaster Membership Management Software and GrowthZone Association Management Software, has helped over 3,000 member-based organizations grow and retain membership, generate revenue, engage and communicate with members and prospects, and streamline their day-to-day operations. For more information, visit https://www.growthzone.com/. GrowthZone Association Management Software and ChamberMaster Member Management Software help organizations grow and retain membership, generate revenue, engage and communicate with members and prospects, and streamline their day-to-day operations.